No doubt, the cupholder charging station is more powerful than a car charger. With three USB ports, you can charge multiple mobile devices in your car. 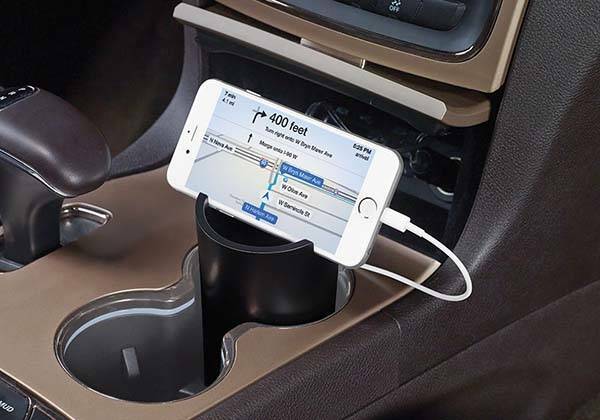 This is a very practical charging station that works with any standard cupholder. The cupholder charging station measures 5 x 3-1/3 x 2-1/2 inches, weights 9 oz, and as we can see from the images, its cylindrical shape allows it to perfectly fit in the cupholder in your car, and it comes with three 2.4A USB charging ports in order to quickly charge up to three mobile devices like smartphone, tablet, camera and etc, moreover, its custom groove keeps your smartphone or tablet in a suitable viewing mode, and the compartment stores your small items. 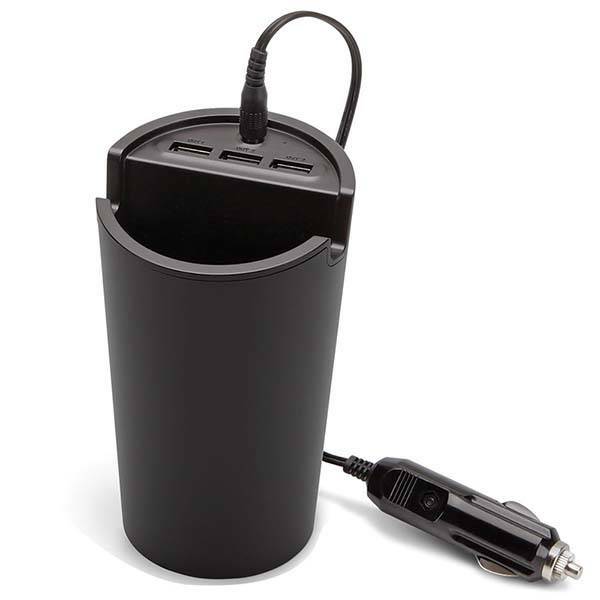 The cupholder charging station is priced at $49.99 USD. If you need it, head to Hammacher Schlemmer for more details. Additionally, if you need more options, you may like to check the mophie’s car charger and more via following tags.